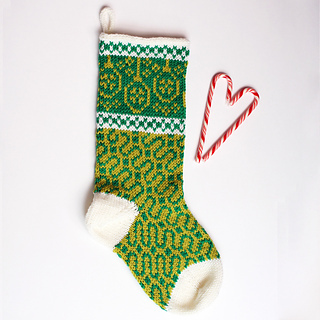 If you are having trouble completing a PayPal purchase through my Ravelry shop, please see this post. 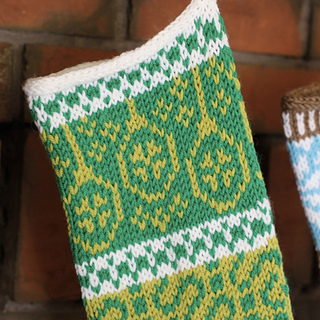 With 24 colourwork charts to mix and match, this pattern offers 512 different possible options for customizing your own stocking. 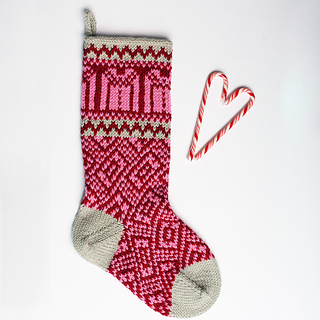 And that’s even before you take colour combinations into account! 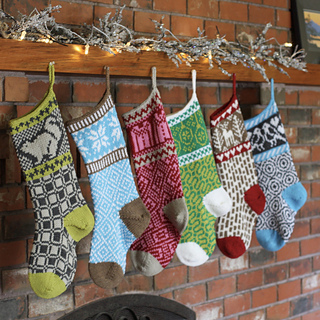 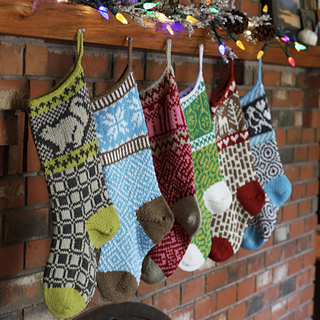 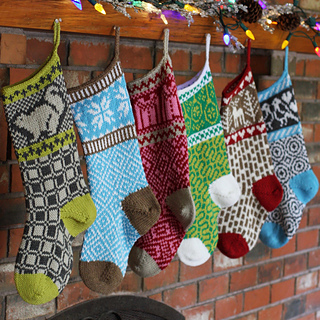 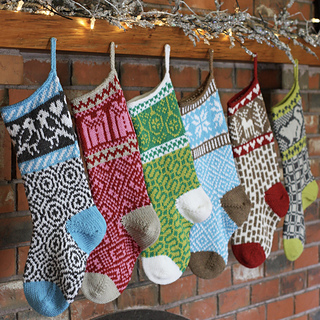 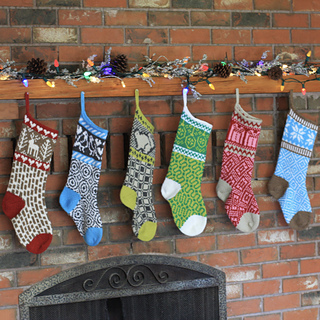 Everyone in the family can have a unique stocking that reflects their personal style. 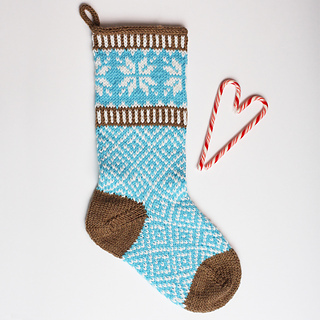 The stockings are worked toe-up with a solid colour toe and a stranded foot. 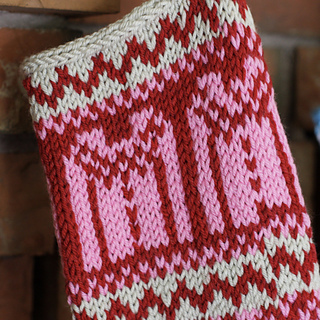 Prepare for an after-thought heel, add the stranded leg patterns and finish the top of the stocking with a i-cord bind-off and loop for hanging. 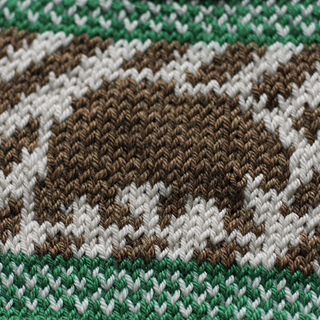 Then finish the solid afterthought heel with Kitchener stitch. 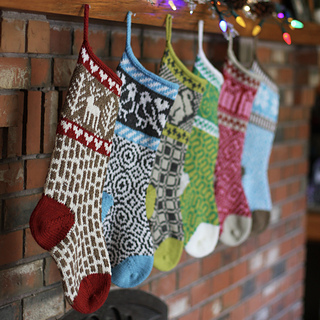 Yarn: For each stocking: a total of 100g (3.5 oz) worsted weight yarn in approximately equal amounts of 3 different colours. 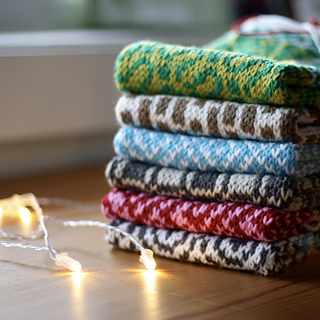 Samples made with Cascade Superwash 220, but any smooth plied worsted weight wool would likely be a suitable substitute. 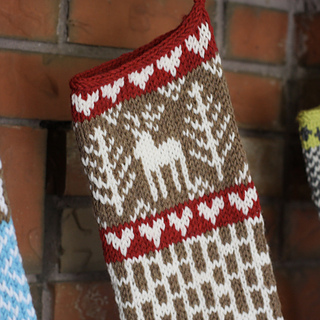 You could also easily use DK or Aran weight at an appropriate gauge, but the size of your stocking will be impacted. 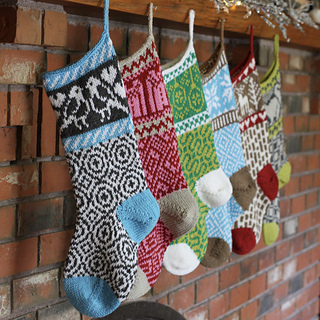 Just don’t use aran for one family member and DK for another or someone might think you’re playing favourites! 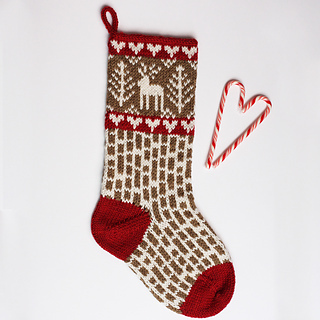 Tools: 4.5mm/US7 40cm/16” circular knitting needle or size to achieve gauge, 4mm/US6 double pointed knitting needles or size smaller than circular needles, or magic loop equivalents of these 2 needles, 2 stitch markers, scrap yarn, medium crochet hook and tapestry needle.